A tragic subset of this population were those who were in Hiroshima and Nagasaki when the atomic bombs fell. Because Hiroshima was one of the prefectures that sent the largest number of immigrants to the Kingdom of Hawai'i and the U.S., a particularly large number of Nisei and Kibei had been sent back to family there and were thus killed in the bombing. But a substantial number were also hibakusha—survivors of the atomic bomb. One of the new encyclopedia articles is Naoko Wake's on these "Japanese American hibakusha." A native of Japan who is an assistant professor of history at Michigan State University, Naoko has spent the last several years doing research on these hibakusha, having interviewed more than a hundred, and will soon release a new book on the topic. We hope to work with her in the coming years to make these interviews available online, adding to the handful of such interviews we already have. Other new articles include Alexandra Wood's on the California and Washington Civil Liberties Public Education Programs, both now defunct, but both of which helped to fund many projects, including a number of Densho's, that have brought greater attention to the wartime incarceration of Japanese Americans. Alexandra, currently a visiting assistant professor of International Education at New York University, also has authored an article on K–12 Education on WWII Incarceration, based on her 2013 doctoral dissertation. Also new: Cherstin Lyon's pieces on the Denaturalization Act of 1944/Public Law 78-405 and the group of draft resisters imprisoned at the Tucson Federal Prison Camp who self-identified as the Tucsonians; articles by Stan Yogi on Ernest Besig, Edward L. Parsons, and Marilyn Hall Patel, the first of several he will be contributing on figures involved in the Japanese American wartime cases and the coram nobis cases of the 1980s; and my piece on the so-called Lim Report. 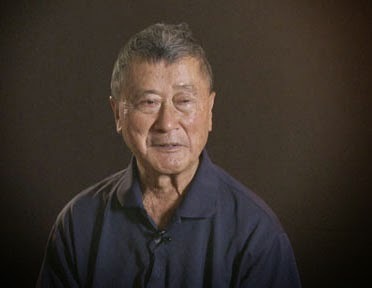 * Depending on how one defines "Japanese American," there were also many Nisei who were taken "back" to Japan as children by Issei who chose to return permanently to Japan from the United States prior to the war and who were subsequently raised as Japanese.